Wheel alignment is a complex job that’s best left to skilled automotive mechanics such as the car mechanics here at TCR II Suspension Brake & Alignment in Tucson. We have the advanced diagnostic tools and experienced needed to do the job right the first time, and at an affordable price. As part of the alignment process, we also inspect your suspension. So, we can spot any worn parts even before they cause expensive problems. If your vehicle is being pulled to one side while you drive, if the steering wheel vibrates when you’re moving, or if you constantly need to use the steering wheel in order to keep the vehicle traveling in a straight line, we can help. 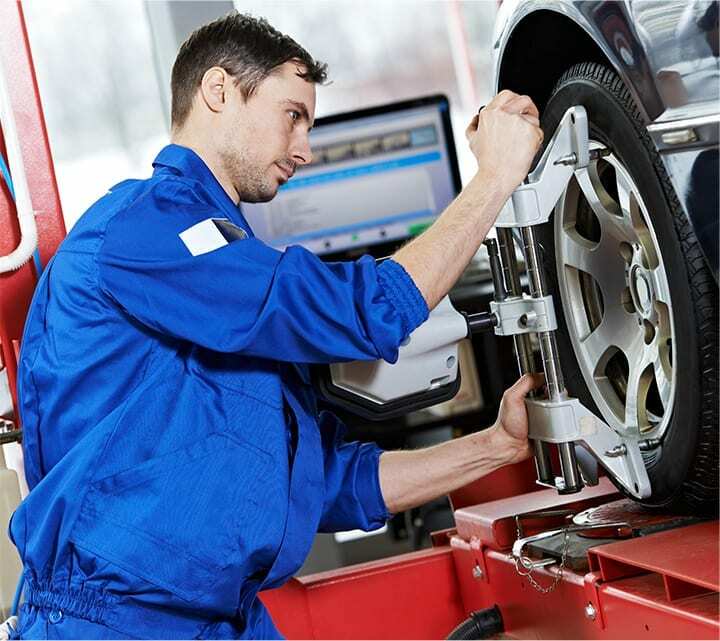 Front end alignment and other types of wheel alignment are necessary to reduce your tires’ rolling resistance and prevent premature or excessive tire wear. Over the lifetime of your car, proper wheel alignment can add many thousands of miles to the life of your tires. Even more importantly, regular front end alignment or total alignment can save you a significant amount of money in fuel expenses. Wheel alignment adjusts all four wheels parallel and at exactly the right angle to minimize rolling resistance. Research shows that an average car driven an average of 12,000 miles per year with a toe alignment of 0.17 inches outside of the car manufacturer’s specifications has the effect of dragging its tires sideways almost 70 miles during that year….. That’s a lot of costly, fuel-guzzling friction. Wheel alignment helps you have the smoothest ride, by reducing vibration from poorly-aligned tires. Even a minor misalignment should be corrected since it affects handling, safety, and fuel cost. 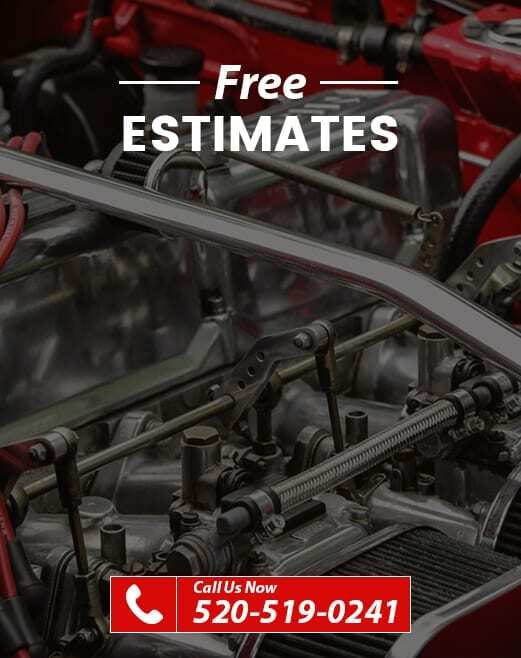 Whether you drive a domestic or foreign vehicle, our certified and highly experienced car mechanics provide the best alignment service anywhere in southern Arizona. We can help you enjoy a smoother ride and save plenty of money on fuel. We offer quick scheduling, and we also have easy financing available.